My notebook is chock-full of half-written blog posts. They all seem a little bland to me. This post is going to be short and, let’s face it, rather dull, but (and this is important) I’m going to finish it and type it up and post it. The article I wrote for Australian Catholics has been published (!!!) If you click here, you can catch a tantalising glimpse of the title, graphic and first paragraph. The rest, unfortunately, is only available to online subscribers. If you live in Australia, you might be able to get a copy from your local Catholic church or school. Failing that, I might see if I can get permission to reprint the article a few months from now. I’m not really sure how these things work. I’ve also written an article for Madonna, AC’s sister publication (!!! ), but that will just be a re-working of my Mary, Help of Kitchens post and it hasn’t gone to print yet. The twins continue to grow and I am now officially the size of a small W-class tram. I am coping with all this by waddling everywhere like some oversized toddler and perfecting the art of Phoning It In. 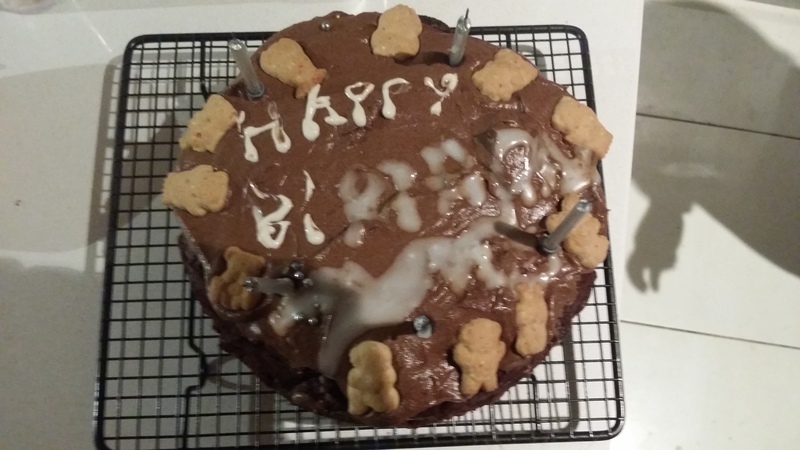 I ran out of writing icing. Fail. I think, perhaps, I should rename this post “Odd and End”, because I can’t think of anything more to tell you and my break is almost over and I’m determined to actually finish this post so it doesn’t become lost among my other half-written monstrosities floating around the place. Incidentally, if there is something particular you would like me to write a post about, please leave me a comment. I’m feeling a little stuck at the moment. And now, in the spirit of Phoning It In, I’m going to finish this post right now, without anything witty to round it off and without tying any ends together. 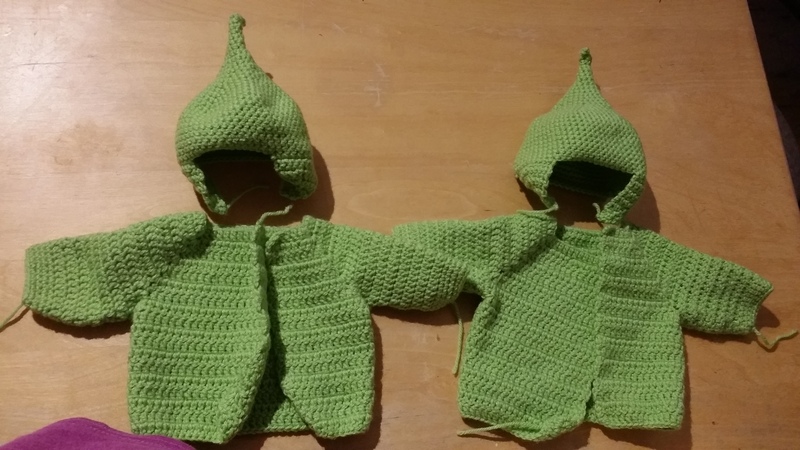 This entry was posted in General Nattering and tagged birthday cake fail, blog, crochet, freelance writing, magazine article, pregnancy, professional writing, sahm, third trimester, twins, writers block, writing on June 20, 2015 by katelikestocreate.